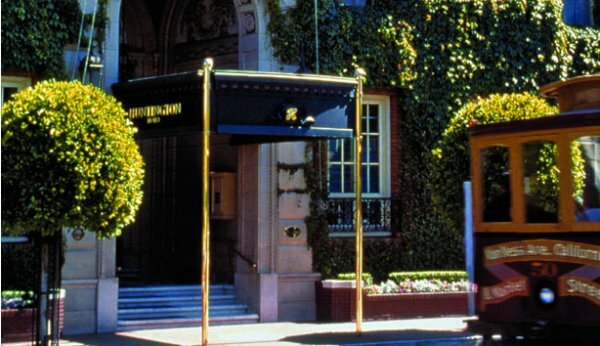 Reflective of the vibrant and diverse San Francisco spirit, The Huntington Hotel creates an elegant ambience of residential luxury for the savvy traveler. 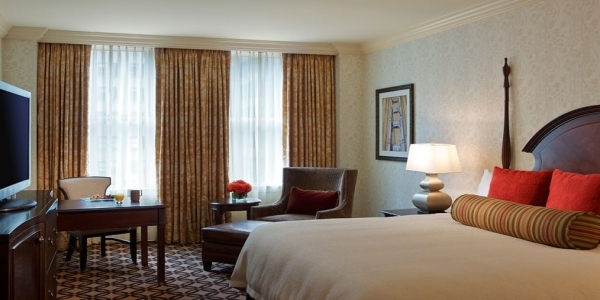 Our hotel graciously blends traditional décor with the most sought-after amenities providing a genuine luxury that feels uniquely borne of The Huntington Hotel and our storied legacy. 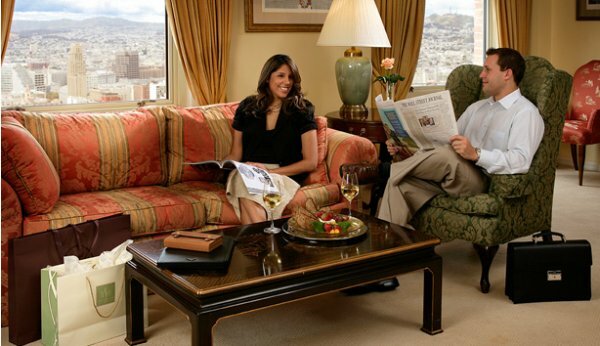 Each guest is made to feel at home in an intimate style of service that is personal, natural and memorable. 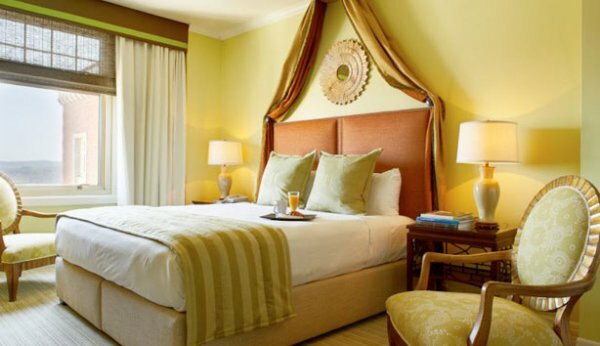 Befitting our historic design, no two rooms at The Huntington Hotel are exactly alike – yet each features the warm ambiance and plush décor of an elegant private home. 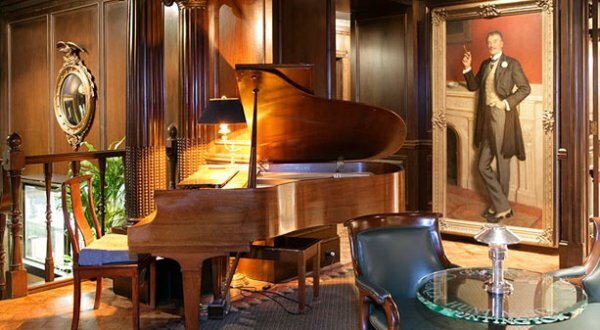 Select from 136 guest rooms and suites that, due to their original construction as luxury apartments, offer more space than most San Francisco accommodations. Lushly appointed in leather, silk, damask, and velvet, each room is welcoming and charismatic, stimulating all the senses. 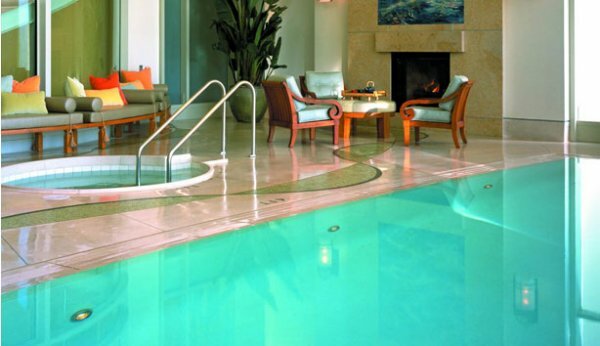 Enjoy just the right touch of modern comforts — including wireless Internet, state-of-the-art flat screens, and well-appointed private bathrooms with soothing spa amenities. 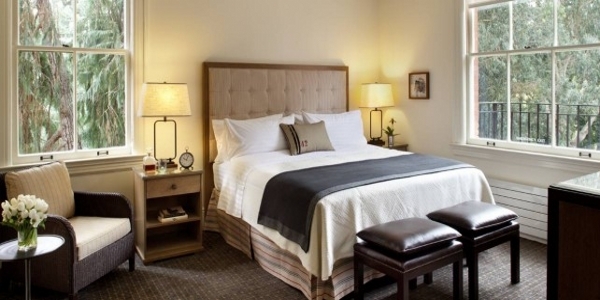 Take in panoramic views of the city skyline or bay, Grace Cathedral, and Huntington Park. 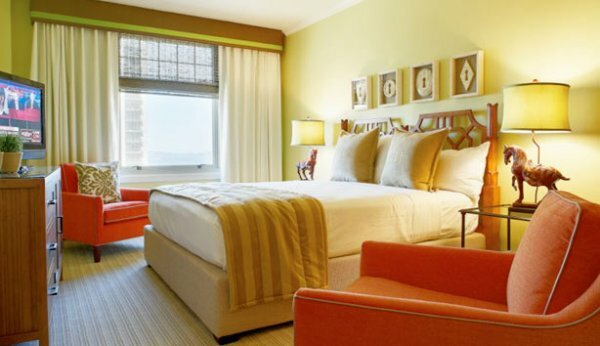 Celebrating a rich past and brilliant future, our charming downtown San Francisco luxury accommodations are an inspired choice for vacationers and business travelers alike. 335 sq ft with one king or queen bed. Rooms have a large work desk, conversation area with furniture (small table and two chairs). Views are more limited in this category, but some rooms do offer views looking west toward the neighborhoods of San Francisco. 415 sq ft with either a king bed or two full size beds, a large work desk, and sitting area for conversation. Views are of downtown, and the neighborhoods of San Francisco. 420 sq ft with king bed, large work desk, and sitting area for conversation. 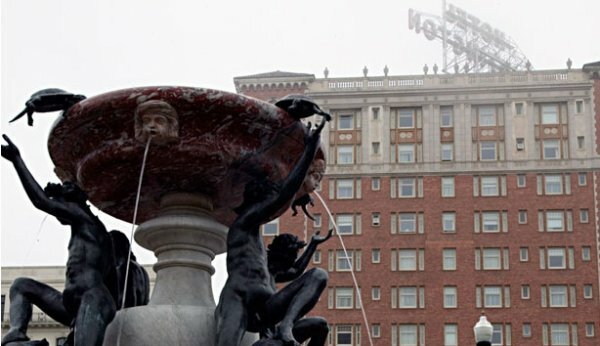 Views are of Huntington Park, Grace Cathedral, and cable cars going past the hotel. 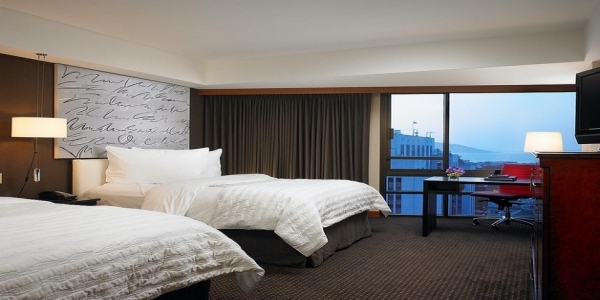 485 sq ft with king beds, large work desk, and conversation area with furniture. 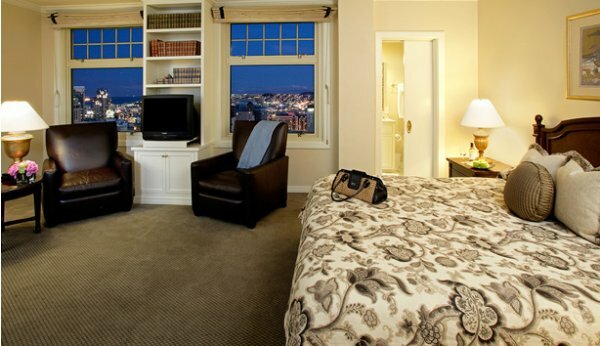 Largest room category with views looking back toward Downtown and the neighborhoods of San Francisco. 715 sq ft. 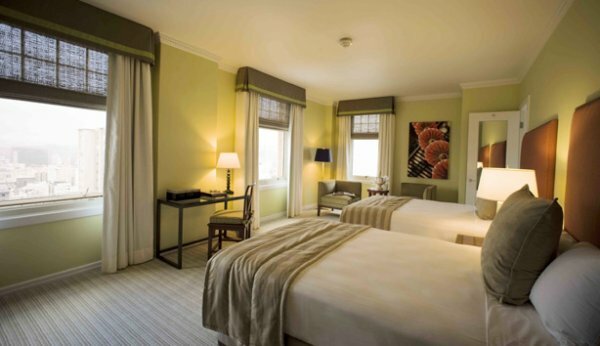 These are our top suites, with the feel of a residential apartment. 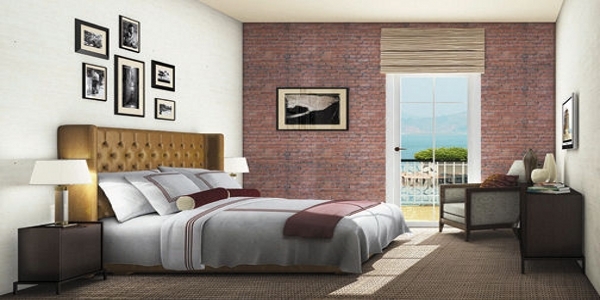 Entrance hall, living and dining areas, one bedroom and one bathroom. Views are of either Huntington Park or downtown San Francisco. Approximately 1100 sq ft with a living and dining area. Features two bedrooms and two bathrooms. 715 sq ft with a living and dining area, one bedroom that closes off totally from the rest of the suite, and one bathroom. 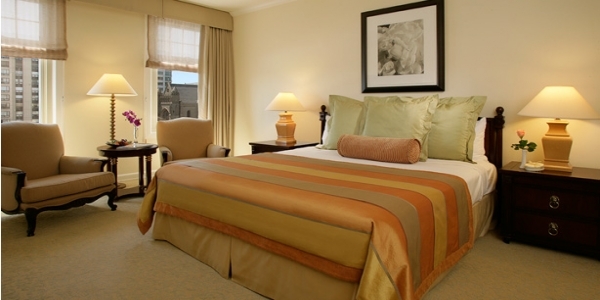 Our most popular suite category, with views of Huntington Park, Grace Cathedral, and cable cars going past the hotel. We have unveiled a new haven of luxury among San Francisco accommodations and we invite you to retreat to our new Mulholland Suite, which seamlessly blends classic elegance with a contemporary Northern California point-of-view. The Mulholland and Huntington brands are characterized by high quality, quiet luxury, and understated elegance. 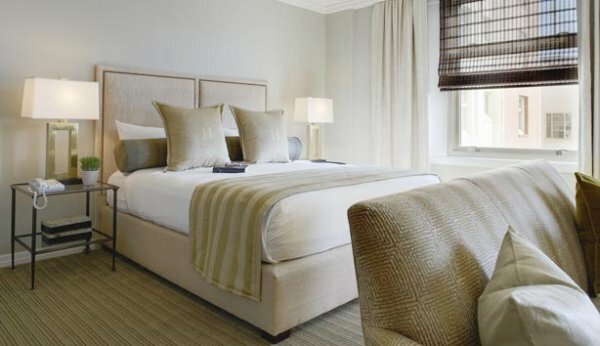 Showcasing pieces from the Mulholland furniture collection, this exquisite suite is your own quiet refuge in the busy city. 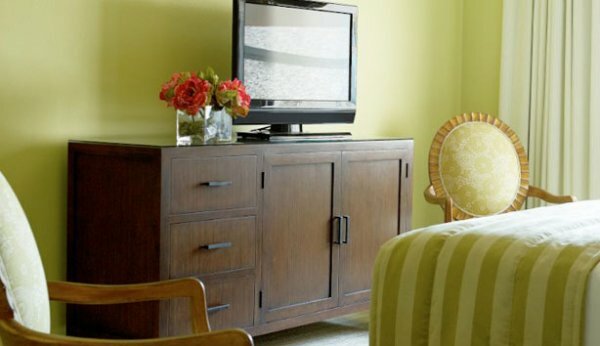 Featuring exceptional furnishings from Mulholland’s furniture collection. 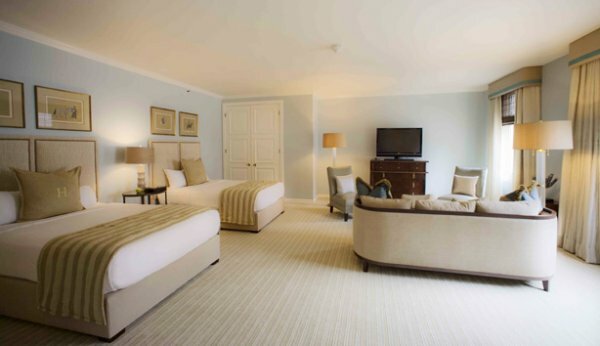 With the unveiling of this special suite, Mulholland observes an anniversary in 2008: “Celebrating 20 years of the good life.” The Mulholland Suite represents the collaboration of two iconic, family-owned San Francisco brands: The Huntington Hotel and Mulholland. Both are boutique brands characterized by high quality, quiet luxury, understated elegance and personalized service to clients. Our products enjoy cult status. 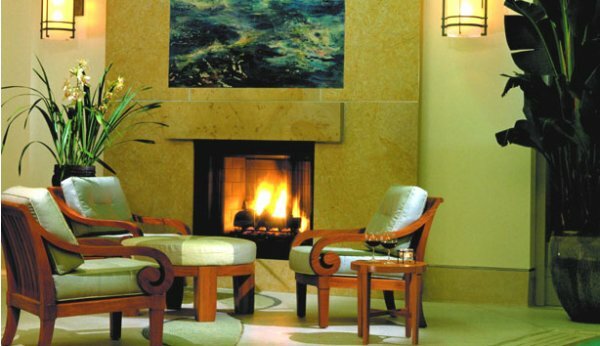 The Mulholland Suite is a quiet refuge in a busy city. The interior design for the rooms was conceived by Mulholland to reflect and honor the company’s heritage. The suite embodies the beauty and authenticity of the northern California lifestyle and its unique setting looking west across the Pacific. 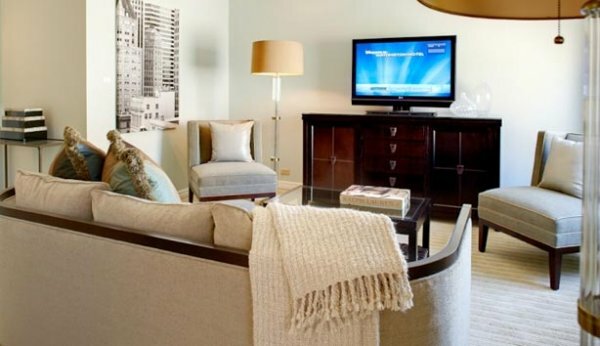 Furnishings designed especially for the suite are both rugged and refined. The upholstery and leather trims are derived from the quality materials of Mulholland’s luggage collections. Metallic finishes reference the hardware of our bags. And subtle animal prints recall our original designs for field sport gear made in 1988. 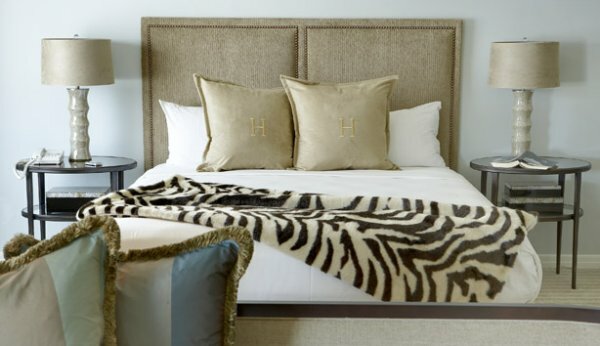 The Huntington has a history of creating one-of-a-kind rooms; in keeping with this individualized design philosophy, the Mulholland Suite offers guests an authentic sense of place, a unique visual experience and an immersion in the Mulholland lifestyle. Recognized as one of the top 20 restaurants in San Francisco by Gourmet Magazine, the Big 4 Restaurant promises the finest in innovative and contemporary American cuisine. 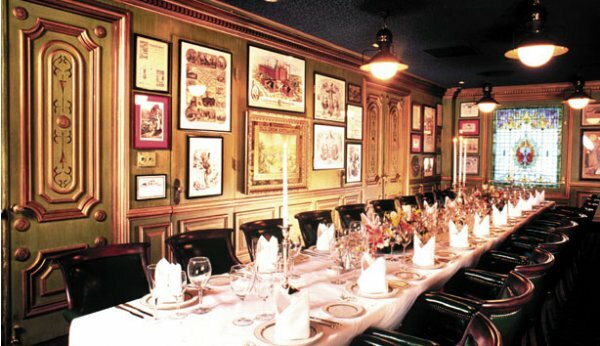 This uniquely historic San Francisco restaurant is named after the nation’s four most famous railroad tycoons of the nineteenth century – C.P. Huntington, Charles Crocker, Leland Stanford, and Mark Hopkins. 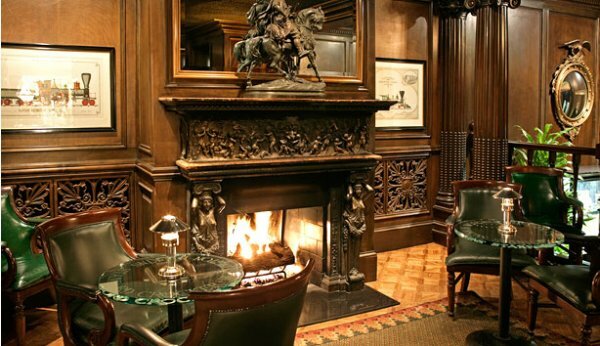 Appointed with lead-glass mirrors and forest-green banquettes, the Big 4 Restaurant instantly transports guests to another era of San Francisco dining and décor, with an impressive collection of original artifacts, historical photographs, and memorabilia from California’s unique history. Previously awarded “Chef of the Year” by the National Executive Chefs Association, Executive Chef Gloria Ciccarone-Nehls brings a wealth of experience to this downtown San Francisco restaurant, adding an artistic touch to each new dish she creates. Chef Ciccarone-Nehls personally develops all of the menus for this innovative restaurant in San Francisco, featuring an eclectic mix of starters and light fare as well as a full range of pastas and house specialties for heartier appetites.